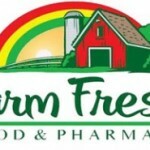 Farm Fresh is an American based supermarket chain with about forty four stores in United States of America providing a one stop shopping service. The food and pharmacy company was founded in the year 1957 and its headquarters is located in Virginia Beach, Virginia, United States. The product of Farm Fresh includes Bakery, dairy, deli, frozen foods, general grocery, meat, pharmacy, produce, seafood, snacks, wine, beer, etc. The company operates as a subsidiary under Eden Prairie, Minnesota-based SuperValu. The operations of Farm Fresh are concentrated in the areas of Franklin and Richmond, Virginia, Elizabeth City, Wilson, North Carolina, Hampton Road. There are currently 0 consumer reviews about Farm Fresh available. Share your review. Please take a note that you are about to post a public review about Farm Fresh corporate office on CorporateOffice.com. This review will be public, so please do not post any of your personal information on this website. If you would like to contact the corporate offices of Farm Fresh, please use their contact information such as their phone number, website, and address listed above to contact them. However, sometimes staff from Farm Fresh headquarters do read the reviews on this website.